The bones of King Alfred the Great or his son, Edward the Elder, are believed to have been found in a box stored at Winchester City Museum - and not buried in an unmarked grave in the city as previously thought. 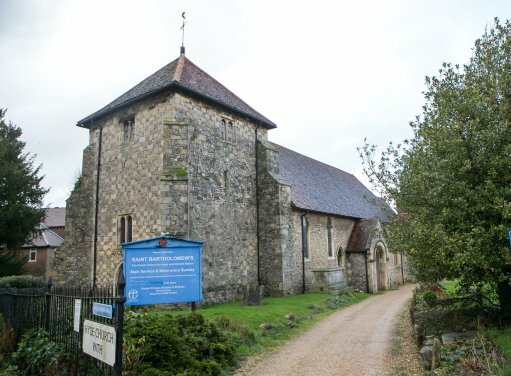 Archaeologists carried out an exhumation of the grave at St Bartholomew's Church in Winchester last March in a bid to find the last resting place of the ninth-century king. Tests have shown that those remains were not the influential warrior king but further investigations have uncovered a pelvis bone which had been in storage at Winchester City Museum from a previous excavation carried out at the end of the 1990s. Carbon dating has shown that this bone dates back to 895-1017, which scientists from the University of Winchester believe ties in with the death of the two kings and is unlikely to have come from anyone apart from the father or the son. 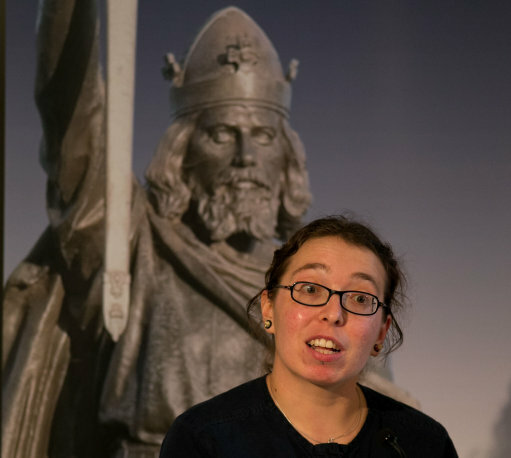 Dr Katie Tucker, researcher in human osteology at the University of Winchester, said she had been disappointed when the exhumed bones turned out to be much later than Alfred's time - the earliest of six partial skeletons found dated back to about 1100 - but said the subsequent find was an "amazing'' discovery. According to historical records, when King Alfred died in 899, he was interred at the Anglo-Saxon cathedral in Winchester, known as the Old Minster, and his bones were later moved by monks to New Minster and then Hyde Abbey, still in Winchester. Hyde Abbey was dismantled after the dissolution of the monasteries in the 16th century and the bodies buried on the site are believed to have been "scattered'' when a prison workhouse was built there in 1788. It was during a community excavation in the late 1990s that the pelvic bone believed to be Alfred's or Edward's was found. But no analysis of the find was undertaken because of lack of funding and because a bone found next to it was found to be from the 17th or 18th century and it was not thought to be of any interest. Dr Tucker was made aware of the existence of the bones after the skeletons exhumed last year turned out to be a red herring. She arranged for tests to be carried out on the pelvic bone, which not only dated it but found that it belonged to a man aged between 26 and 45 at death. 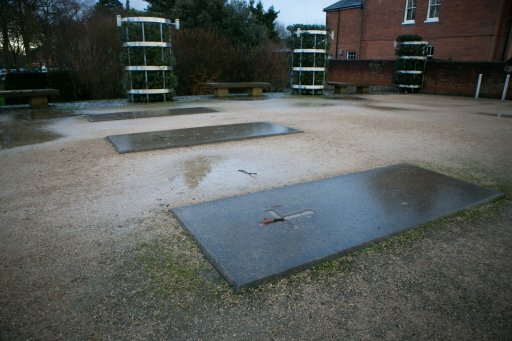 Dr Tucker said: "The simplest explanation, given there was no Anglo-Saxon cemetery at Hyde Abbey, is that this bone comes from one of the members of the West Saxon royal family brought to the site. "Given the age at death of the individual and the probable male identity, the plausible candidates are King Alfred, King Edward the Elder, or the brother of King Edward, Aethelweard. "All were buried in the abbey. However, historical evidence indicates that only the coffins of Alfred and Edward were at the site of the high altar. Dr Nick Thorpe, head of the department of archaeology, said: "The department of archaeology is extremely excited to have been able to plausibly link this human bone to one of these two crucial figures in English history. "We also believe that we are thereby helping the city to right a historical wrong done to the remains of these great kings, which began with the dissolution of Hyde Abbey in 1539 to be followed by centuries of neglect, destruction and disturbance up to the last antiquarian diggings in 1901. The university is now going to work with local heritage charity Hyde900 on further investigations into the findings with further excavations being considered and a suitable resting place being planned for the royal bones. Dr Tucker said that it might be possible to extract DNA from the pelvic bone but said the problem was finding another DNA source to check it with. She explained that it would theoretically be possible to check against a living ancestor, as had been done with Richard III, but the problem was identifying a definite descendant. She said: "We have had quite a number of individuals who have been contacting us, sending us their family trees, saying they are descendants of Alfred. She said that the carbon dating range was wide enough to cover both Alfred and his son. Dr Tucker said that the bone had not been "hidden away'' but had simply been put in storage and had been available if anyone had wished to examine it. The bones exhumed last year had been rumoured to have been those of Alfred after an antiquarian in the Victorian era claimed to have excavated the bones of the Wessex royal household from the site of Hyde Abbey in 1866-87. He then sold these to the Rector William Williams of St Bartholomew's Church who re-interred them in the unmarked grave in the late 19th century. Early in 2013, Hyde900 petitioned Winchester Diocese for permission to exhume the remains, a task that was speeded up by the discovery of Richard III and led to concerns for the security of the bones now known to be wrongly linked to Alfred. The research into the final resting place of Alfred, who was best known for defending Wessex against the Viking invaders and who also laid the foundations for a unified English nation, is the subject of a BBC documentary, The Search for Alfred the Great, which airs on January 21.